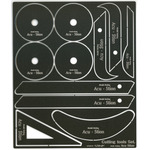 ATS-7986 0.2mm Cutting tools Set. ATS-7987 0.1mm Cutting tools Set. ATS-8073 0.2mm Cutting tools long Set. 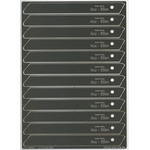 ATS-8074 0.1mm Cutting tools long Set. 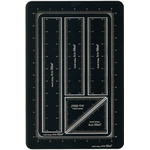 ATS-8444 0.1mm Cutting tools short Set. ATS-8445 0.2mm Cutting tools short Set. ATS-8482 0.1mm Cutting tools talon Set. 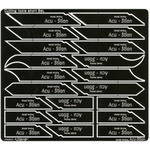 ATS-8483 0.2mm Cutting tools talon Set. 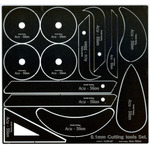 ATS-8484 0.3mm Cutting tools talon Set. 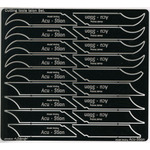 ATS-8485 0.4mm Cutting tools talon Set. Contents on this homepage are protected by the copyright that © TAKENAKA Corporate Group / ® Model Making Acu・Stion Production possesses.It is prohibited to reproduce without permission exceeding the range of private use, to modify, and to reprint all sentences, images, and animations, etc.